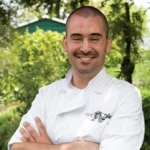 For eleven years, our team of experts has travelled throughout Louisiana with keen eyes and trained palates searching out chefs who celebrate our diverse culinary history and excel in using the state’s exceptional raw products. 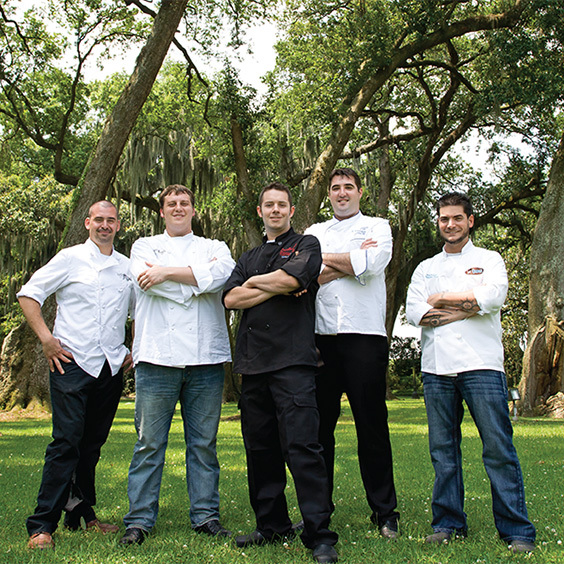 Most of these chefs are Louisiana natives who have enjoyed our unique traditions throughout their lives, but they’re all united by passion and dedication to excellence. 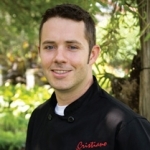 These are the 2012 Chefs to Watch. 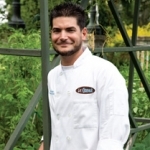 Representing Cajun country are two chefs with remarkably different (yet still similar) stories: Sicilian-born Manny Augello, executive chef of Jolie’s Louisiana Bistro in Lafayette, has spent his years in Louisiana embracing boucherie and charcouterie, while Chef Lindsay Mason, a Thibodaux native who helms Cristiano Ristorante in Houma, uses local ingredients for a crisp, fresh take on Italian cuisine. 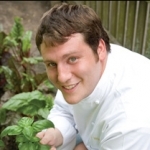 In the capital city of Baton Rouge, Chef Ryan André serves elegant dishes influenced by French and Southern elements. 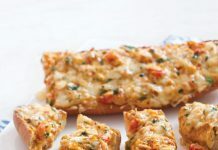 Before leading the kitchen at Le Creolé, he honed his skills at the Louisiana Culinary Institute and with Chef Tory McPhail at New Orleans’s famed Commander’s Palace. And that leaves the hunter and the farmer. 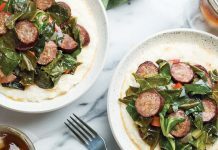 On Lake Pontchartrain’s Northshore, Chef Zac Watters has spent his life cooking, hunting, and fishing in the bayous and rivers of Louisiana to eventually craft distinct flavors at Zachary’s restaurant in Mandeville. 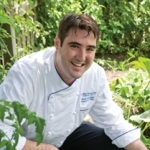 Across the lake in New Orleans, California-born Chef Brad McGehee was drawn to his current post at Ye Olde College Inn by its vegetable garden. While the College Inn touts the fact that half of its ingredients travel only a short distance to the table, Brad takes great pleasure in knowing that some of them are tended to by his hands. 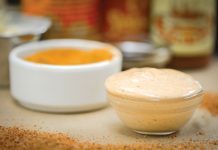 It is not solely attention to detail or technical skill that make a Chef to Watch: Each one shows a deep respect for Louisiana’s culinary roots and is willing to boldly reinterpret and reimagine classic dishes in a way that will keep our food culture moving forward. They proudly support our farmers and fishermen and in doing so promote and preserve indigenous crops and species.